Xiaomi Redmi Note 5 is drawing closer to launch and we are starting to see more leaks, images and specs being revealed slowly. Today, the phone paid a visit to China’s TENAA, revealing a dual camera setup – on the front, going against the previous rumours. The new images do confirm that the Redmi Note 5 will feature an 18:9 display, though. 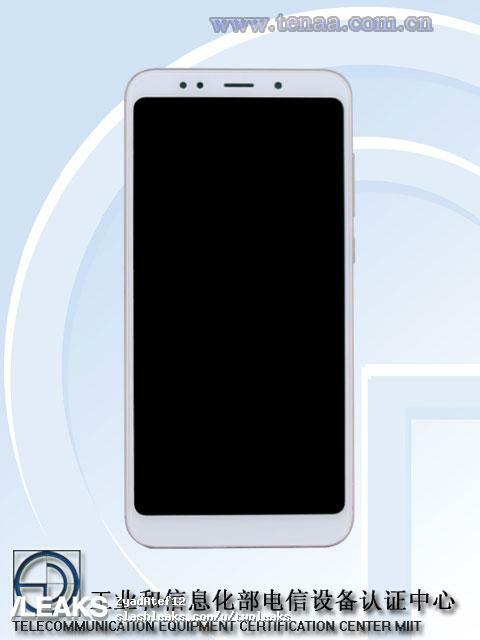 Earlier reports had suggested that the Xiaomi Redmi Note 5 will feature a dual camera setup at the back but the device images on TENAA have revealed a dual front camera setup and this looks much better than the images that were leaked earlier. The Redmi Note 5 is expected to run on Android 7.0 Nougat with MIUI 9 skinned on top. The TENAA listing has revealed that the device will come with an 18:9 aspect ratio display with minimum bezels. It is expected to come with a 5.7 inch full HD+ IPS LCD display. Another change that we notice once we look at the image is that the device does not come with the capacitive buttons that are found on Redmi devices and this might have been done to reduce the bezels. The volume rockers and the power button has been placed on the right side of the device and the SIM tray is placed on the left side. It is expected to be powered by the Qualcomm Snapdragon 630 or Snapdragon 636 processor. It may be available in the usual 3GB and 4GB RAM variants along with 16GB, 32GB and 64GB of internal storage. As mentioned earlier, the devices were expected to come with a dual rear camera setup but now it is clear that the dual camera setup will be on the front. On the back, the device sports a single camera with an LED flash and the fingerprint sensor placed below it. The Redmi Note 5 is expected to be priced starting an CNY 999 (Rs. 9,800) for the 3GB RAM and 16GB storage variant, CNY 1299 (Rs. 12,800) for the 3GB RAM and 32GB storage variant and CNY 1,699 (RS. 16,700) for the 4GB RAM and 64GB internal storage variant. The device is expected to come in Black and Gold + White color options.